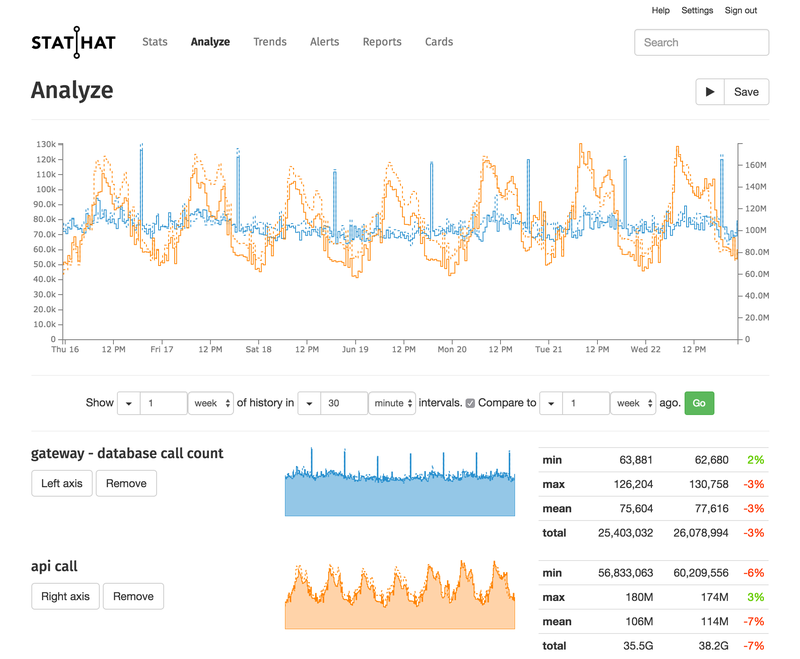 StatHat makes detailed time series charts of your stats. 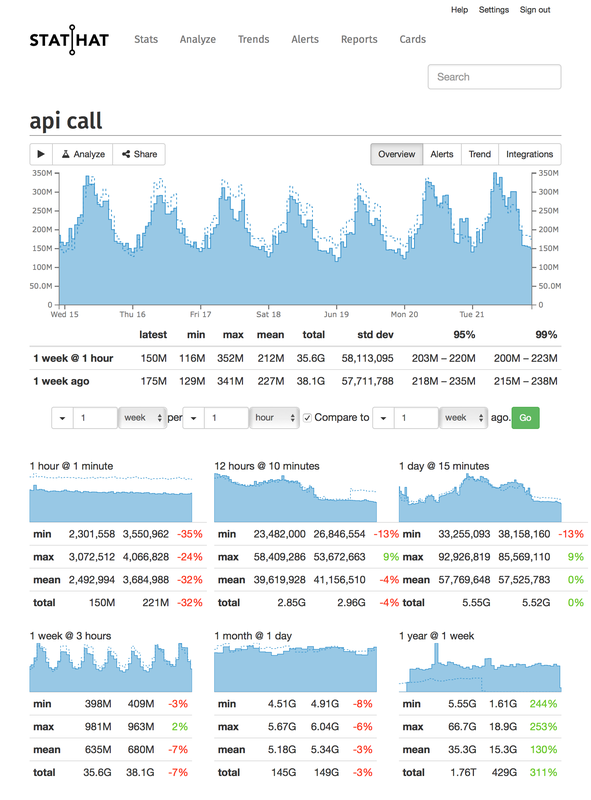 Compare multiple stats from the past hour to the past 10 years. Know where your stats are headed. 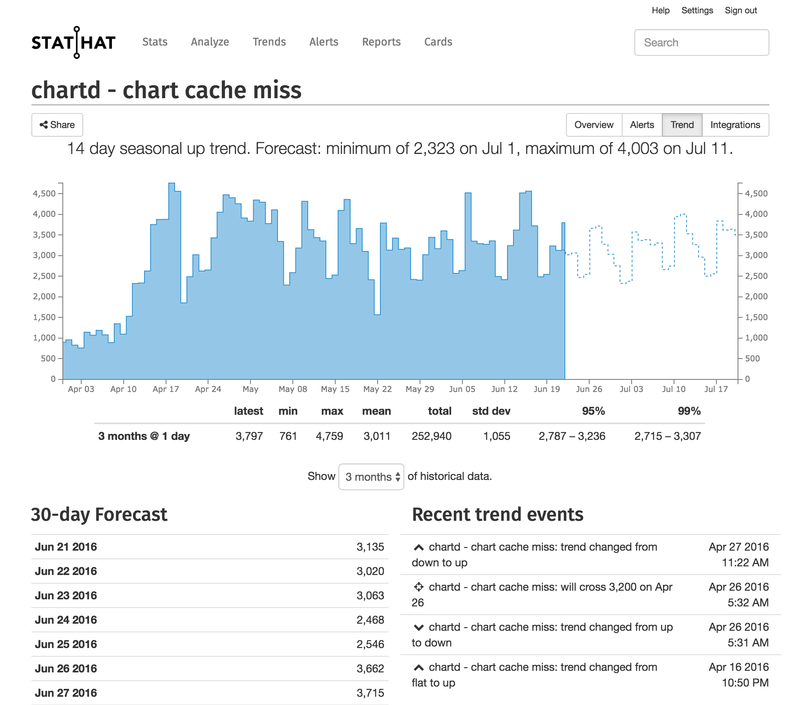 StatHat will analyze all your data and create forecasts for you with estimates for the next 30 days. It's a piece of cake to integrate StatHat into your applications. It only takes one line of code. We have libraries for 16 languages and provide customized code you can copy and paste into your projects. StatHat watches your stats like an eagle in its mountaintop nest. If it detects anything out of the ordinary, it will send you an alert. There's no need to set up anything. StatHat has integrations for Status Board, PagerDuty, Slack, Campfire. 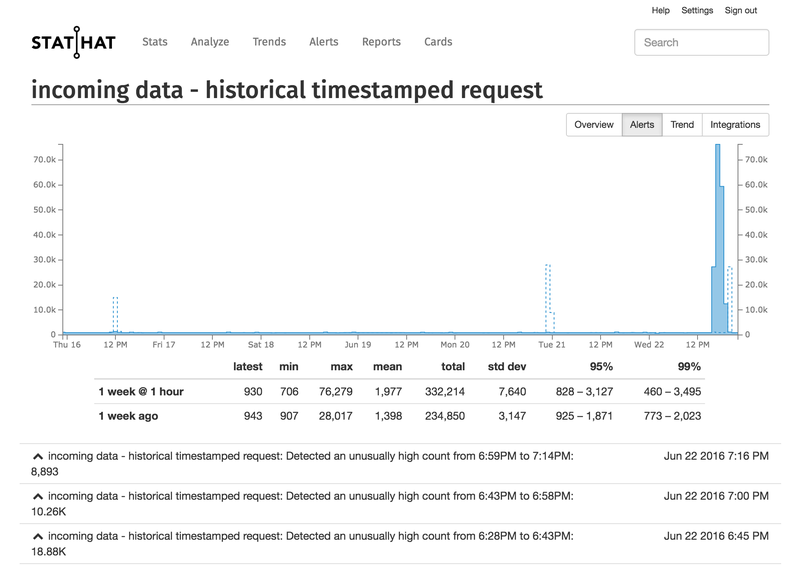 There's also an API with support for datasets and alerts. StatHat is completely free for up to 10 stats. It's $99/month for unlimited usage (technically speaking, 10,000 different stats), with no plans or tiers or other limits to worry about. 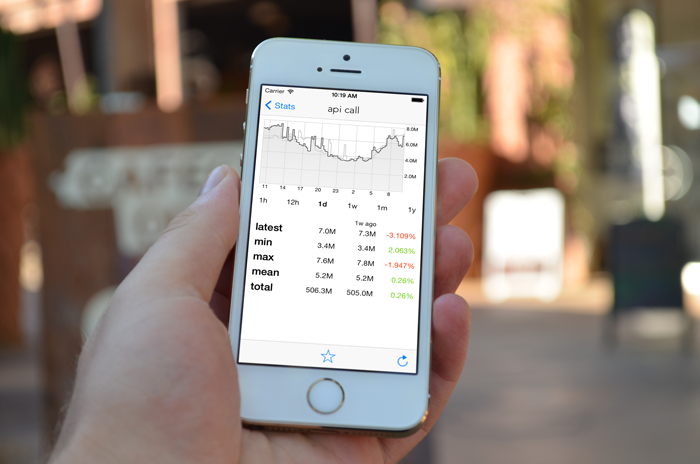 Get an overview of the past hour to the past year, and any other timeframe. Compare stats to find correlations. Get notified automatically when anomalies occur. What do the next 30 days look like? All of this with one line of code. stathat.ez_count("info@stathat.com", "messages sent - female to male", 1). Founded in 2011, made in Chicago. Numbers current as of 25 Apr 19 10:41 UTC.